Oh. My. Word. My family ate this ENTIRE tray in just one day. It tasted so good – a sweet pastry treat – we wished we had another tray. When I bought it, I figured pastry and nuts. And I thought it was a risk – maybe too many nuts – my family might not like it. But, was I surprised. One pastry has a walnut mixture on dough with a large fresh pecan on it. The other three pastries are made with a nut mixture in between dough. With all three I tasted a nicely balanced bite of flaky pastry dough, a sweet filling of nuts, and drizzled icing. The nuts truly taste gourmet. The phyllo dough is crispy and flaky. It’s kind of high on the sugar scale. So a few pieces are filling but you’ll want more. 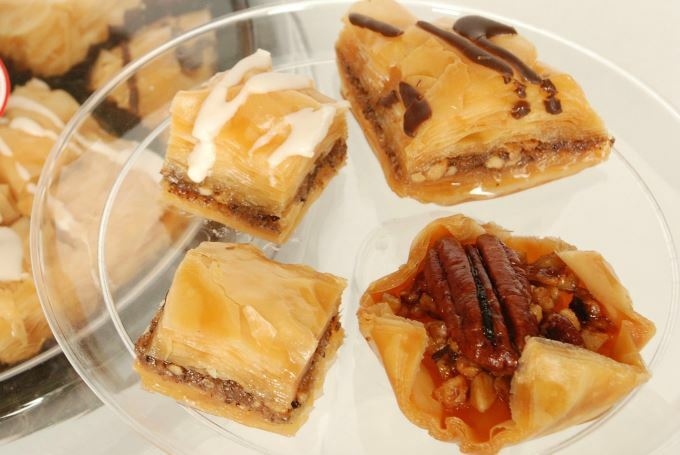 This baklava is an incredible treat. So, where has it been all my life? 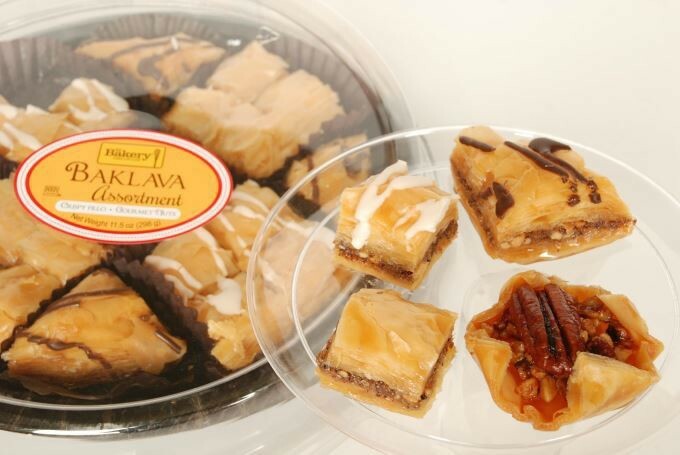 : – ) Somehow, we just didn’t eat it when I was growing up – but now baklava is part of my holiday tradition!